Multiple different existing trade associations share some aspects of the mission and vision of the American LED Alliance. While the associations do not specifically focus on the qualifications for “Made in USA” Buy American Act BAA Compliant LED production and the adoption of advanced LED lighting fixtures, sensors, and controls, they each provide value at their respective levels. We encourage members of the Alliance to participate in any of the other associations that they deem relevant, and we proactively seek ongoing strategic relations accordingly. Here are three examples of trade associations that are aligned in some form with the mission and vision of the American LED Alliance. The Illuminating Engineering Society was established in 1906, the IES is the recognized technical and educational authority on illumination. For over one hundred years its objective has been to communicate information on all aspects of good lighting practice to its members, to the lighting community, and to consumers through a variety of programs, publications, and services. The strength of the IES is its diversified membership: engineers, architects, designers, educators, students, contractors, distributors, utility personnel, manufacturers, and scientists, all contributing to the mission of the Society: to improve the lighted environment by bringing together those with lighting knowledge and by translating that knowledge into actions that benefit the public. The National Association of Manufacturers (NAM) is the largest manufacturing association in the United States, representing small and large manufacturers in every industrial sector and in all 50 states. Manufacturing employs more than 12 million men and women, contributes $2.17 trillion to the U.S. economy annually, has the largest economic impact of any major sector and accounts for more than three-quarters of all private-sector research and development in the nation. The NAM is the powerful voice of the manufacturing community and the leading advocate for a policy agenda that helps manufacturers compete in the global economy and create jobs across the United States. The American Lighting Association is a trade association representing the residential lighting and ceiling fan industries in the United States and Canada. Its membership includes leading lighting and fan manufacturers, showrooms (retailers), manufacturer’s representatives and designers. Note: The American Lighting Association primarily focuses on commercial lighting, but multi-family properties and single-family homes are the residences for corporate and government purchase influencers. The American LED Alliance strives to generate positive change through energy-efficiency and job creation, so it sees residential adoption of LEDs as one of the spokes on the wheel of progress. Government procurement personnel and commercial property owners and managers use different types of terms, when they search online, to find American made LEDs and lighting products. 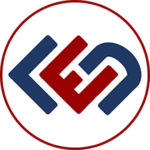 The American LED Alliance has built out this extensive digital web address network to help facilitate the connections across the public and private sector. Moving forward, the Alliance may use any number of these web addresses to build out micro-websites that address different advantages of American made technology and communications overall.